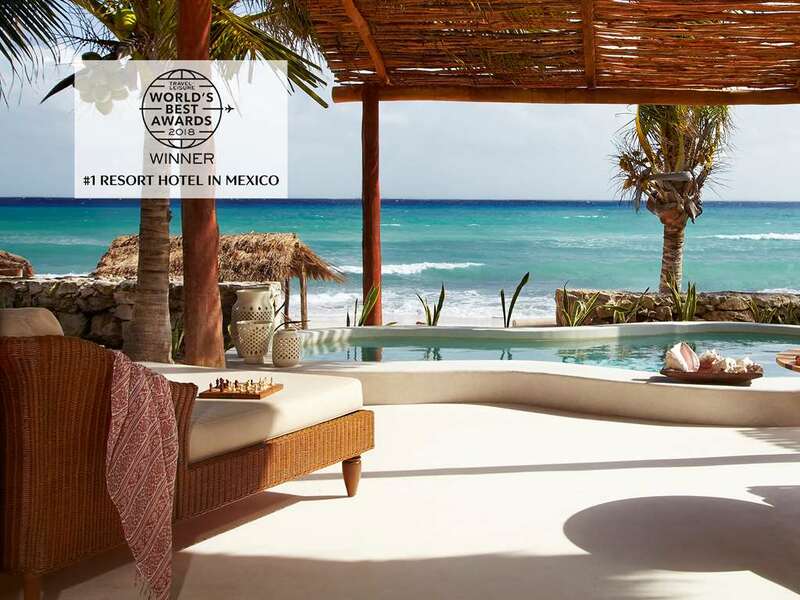 Located in Playa del Carmen, Viceroy Riviera Maya is by the ocean, within a 15-minute drive of El Camaleon Mayakoba Golf Course and Grand Coral Golf Riviera Maya. This 5-star resort is 10.7 mi (17.2 km) from Xcaret Eco Theme Park and 3.3 mi (5.3 km) from 28 de Julio Square. Make yourself at home in one of the 41 air-conditioned rooms featuring private plunge pools and flat-screen televisions. Rooms have private furnished patios. Wired and wireless Internet access is complimentary, while DVD players and satellite programming provide entertainment. Conveniences include safes and complimentary newspapers, as well as phones with free local calls. Relax at the full-service spa, where you can enjoy massages, body treatments, and facials. You're sure to appreciate the recreational amenities, including a health club, an outdoor pool, and a spa tub. Additional amenities at this resort include complimentary wireless Internet access, concierge services, and gift shops/newsstands. Guests can catch a ride to nearby destinations on the area shuttle (surcharge). All-inclusive rates are available at this resort. Meals and beverages at onsite dining establishments are included in all-inclusive rates. Charges may be applied for dining at some restaurants, special dinners and dishes, some beverages, and other amenities. Grab a bite at Library Lounge, one of the resort's 2 restaurants, or stay in and take advantage of the 24-hour room service. Relax with your favorite drink at the bar/lounge or the poolside bar. Cooked-to-order breakfasts are available daily from 7 AM to 11 AM for a fee. Featured amenities include complimentary wired Internet access, limo/town car service, and dry cleaning/laundry services. A roundtrip airport shuttle is provided for a surcharge (available 24 hours).